Lt. 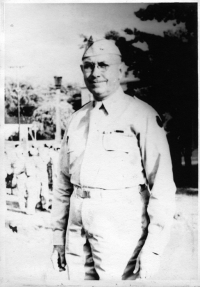 Colonel Farrant L. Turner was the first commanding officer of the 100th Infantry Battalion. Born in Hilo, Hawaii, he was the Executive Officer of the 298th Infantry Regiment, Hawaii National Guard, at the time of the December 1941 attack on Pearl Harbor. Five months later, when the decision was made to create a battalion composed of Nisei soldiers, he was one of several officers who volunteered to command this new unit. In October 1943, a month after the 100th Infantry Battalion had arrived in Italy, Colonel Turner was relieved of his command. At 48 years old, he was older than the norm for a combat battalion commander, and the stress of seeing so many of “his boys” seriously and mortally wounded in battle took its toll. When he returned to Hawaii, Colonel Turner visited the families of 100th soldiers and remained active in Club 100. 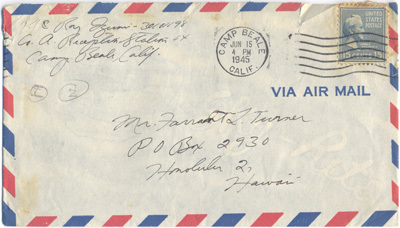 He was highly respected and admired, not only by the Japanese American community, but the greater community of Hawaii. He returned as Vice President to Lewers and Cooke, a large building supply company in Honolulu. Before he died in 1959, Colonel Turner was appointed by President Dwight Eisenhower and served six years as Secretary of the Territory of Hawaii. This position was the second highest government position in Hawaii after the governor. Courtesy of Albert (Bert) Turner, the son of Colonel Turner, this collection consists of over 100 letters written to Colonel Turner in 1944 and 1945, most of them by 100th Infantry Battalion officers and enlisted men who had been under his command. Chaplain/Lt. 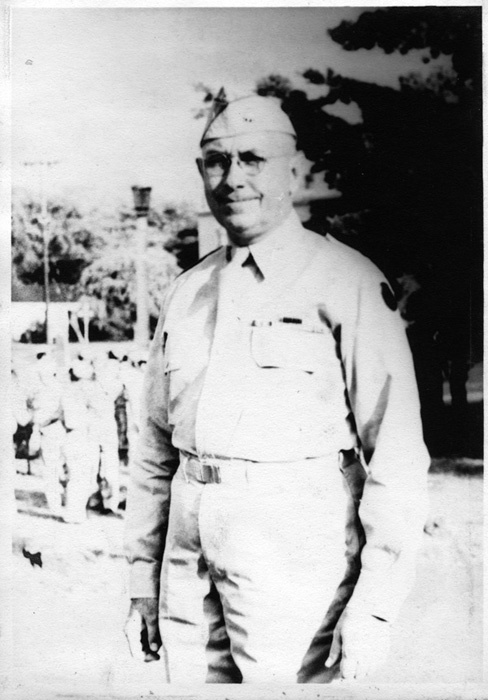 Col. Edward M. Pennell, Jr.